Directed by Ari Aster, whose only previous credits are a few short films, has flawlessly conjured up a story and characters that will consistently shock you while keeping you on the edge of your seat, sweating bullets to see what comes next in his first feature film debut called ‘Hereditary‘. What this movie does so well is setup its family of characters first, seeing what seems like a normal run-of-the-mill family with sibling rivalry, good and bad times in marriage, parties, and awkward dinners. We can all relate to this in some form or fashion, which forms a bond between us and this family. We saw the same thing happen in ‘The Exorcist‘, which was given a significant amount of time to see a normal broken family, which then turned into something vile and malicious in the most disgusting way. This is what ‘Hereditary‘ does as well. It sets you up for something and then turns and slides down a sinister path very quickly, which is truly terrifying. 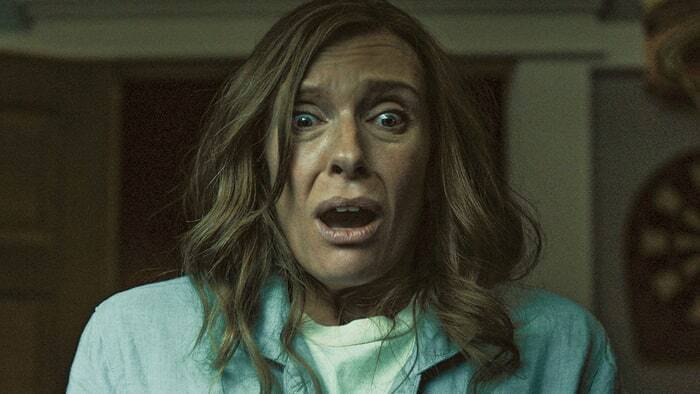 ‘Hereditary‘ starts with a funeral of Annie’s (Toni Collette) mother, who in her eulogy speech, states that her mother was super secretive and that they had a strained relationship for most of their lives. Her husband (Gabriel Byrne), nor her teenage son were very close to her. 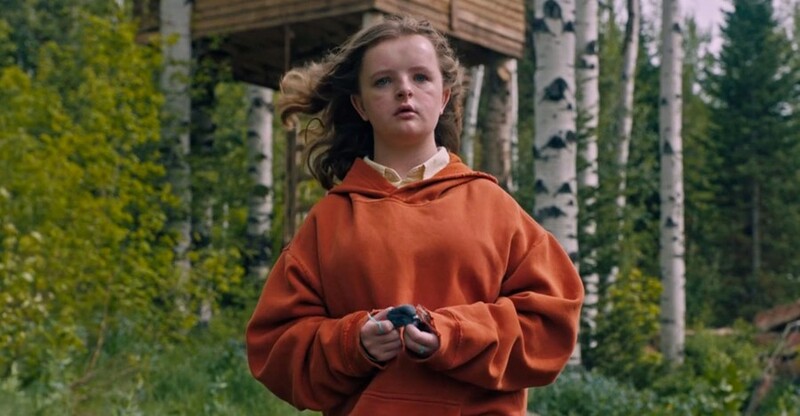 However, Annie’s youngest daughter named Charlie (Milly Shapiro) was abnormally close to the deceased grandmother. After the funeral, it all seems like life is back to normal, but it is anything but that. Soon, horrific hauntings and other sinister events take place with each of the family members. Some of these moments had me with my mouth wide open, almost touching the floor. This was not in a silly way either, but rather a shocking and scary type of reaction each time. Ari Aster has perfectly crafted each scene in this slow burn storyline that keeps you on your toes, until it hits 100mph and never lets up. The performances by everyone in the film is never over-the-top, but very realistic and subtle. Toni Collette shines above the rest here, while trying to keep her family sane, while dealing with her own issues. She really gives it her all as she does in every film. The score is reminiscent of the haunting and eerie sounds of ‘The Shining‘, which even adds more tension to each scene. It’s all very well done and executed. This film will no doubt leave a permanent impression on you for years to come. 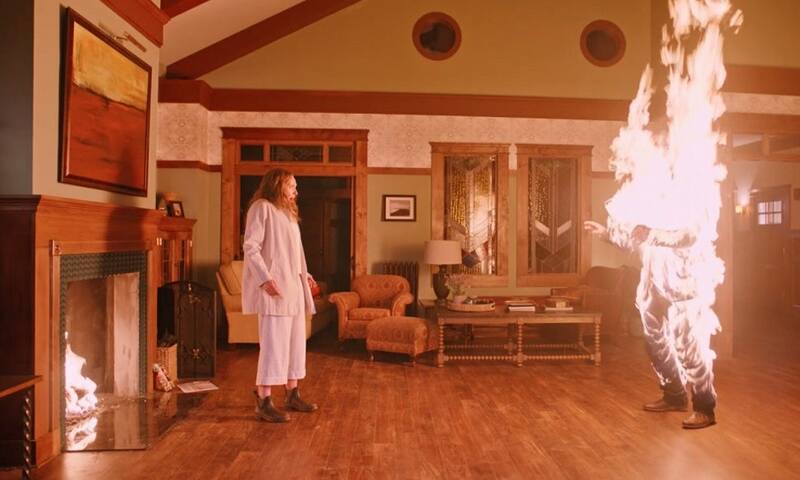 ‘Hereditary‘ is the true definition of horror. This entry was posted on Tuesday, June 5th, 2018 at 12:37 pm	and is filed under Film, News. You can follow any responses to this entry through the RSS 2.0 feed. You can skip to the end and leave a response. Pinging is currently not allowed. « My Bloody Podcast #7 – ‘Bubba Ho-Tep’!